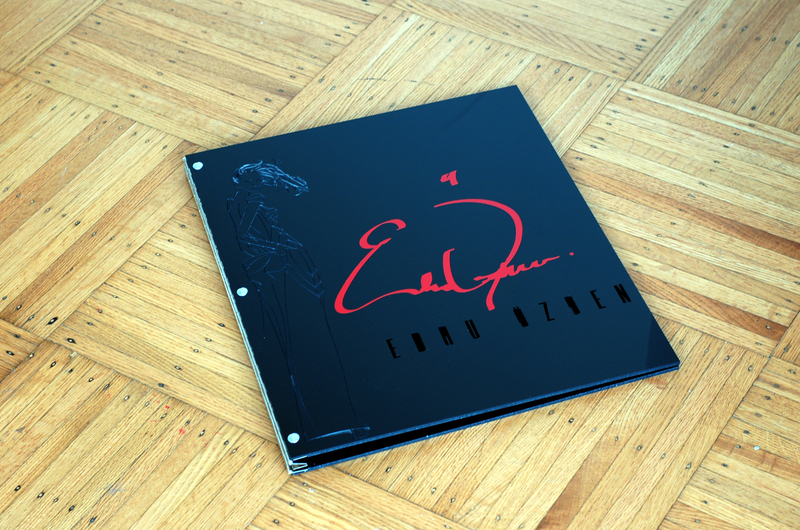 Check out this 14 x17 custom, black acrylic presentation case for Turkish Fashion designer, Ebru Ozben. 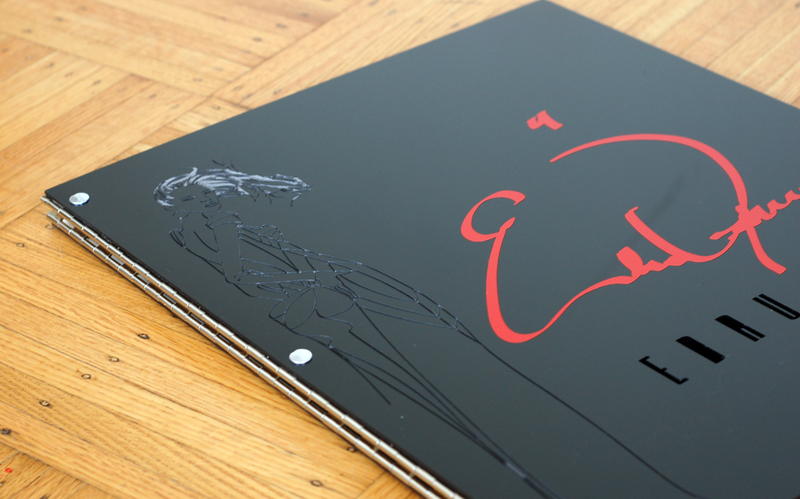 She wanted her presentation case to reflect her style in terms of her drawings as well as her signature. We added dimensionality by engraving one of her sketches, included a dash of color by creating her signature out of a red vinyl, and applied a cut-out treatment of her name. The end result is bold and sharp. 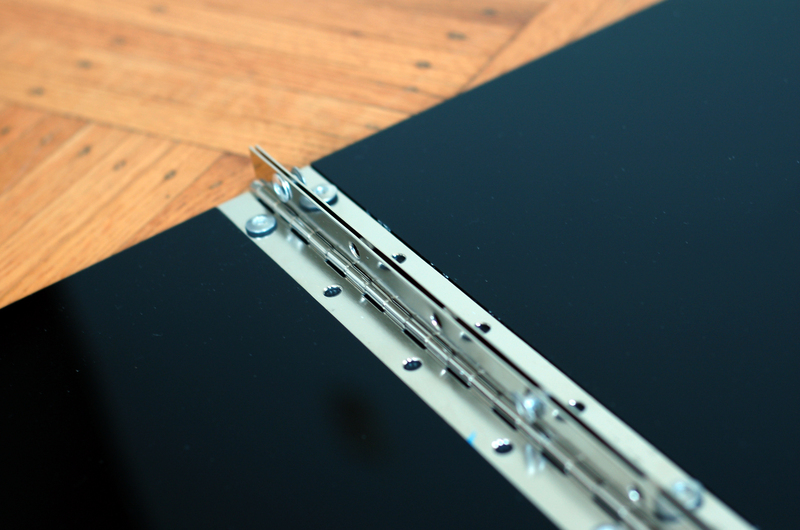 All Klo Portfolios are hinged with screw-posts so you can easily add and remove work. Got a design idea for your own custom portfolio? Visit Klo Portfolios for more info or drop me an email at info[at]kloportfolios.com. 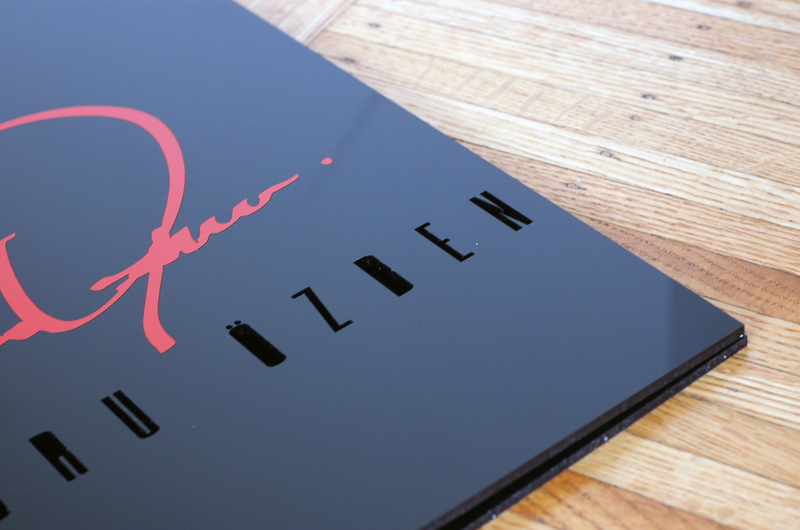 Black acrylic custom presentation case with custom engraving, cut-out, and vinyl decal treatments.